Speech Journal can also function as a basic voice output augmentative communication device for children with limited verbal ability. Any image from your photo album can be imported into Speech Journal. In addition, iPad2 users can use the on-board camera to create new images within the application. 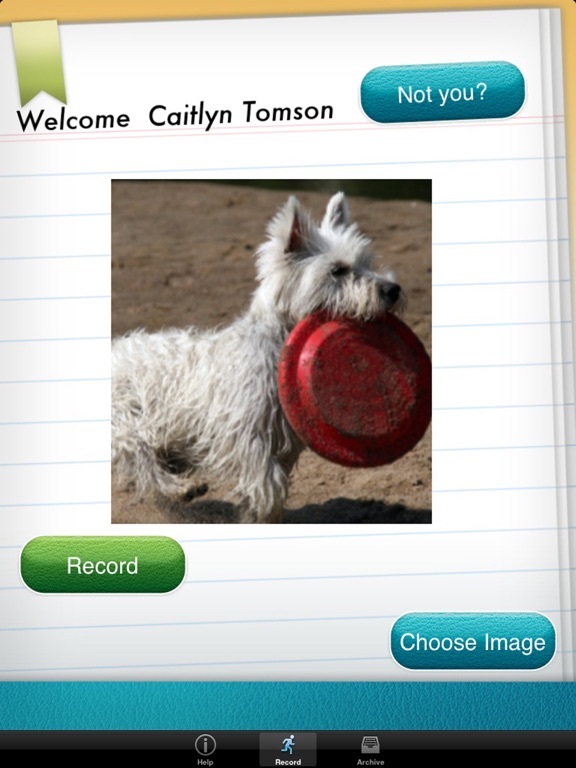 Once you have selected an image, you can create a voice recording to go with the image. Once you have completed a recording, you can play, erase, or save the image/recording pair. You may also add more recordings and images to the recording, creating a slideshow. Previously saved recordings may be re-opened and have as many recordings and images added to them as you like. Speech Journal gives parents and speech language professionals an unlimited amount of flexibility to create speech activities and generate speaking opportunities that best suit the needs of their children.